Beauties, it’s Vitamin C Day and if you’ve been with us for a while, you’ll know that we’re totally addicted to Vitamin C for it’s amazing benefits… making you glow from the inside out! So today, we’re gonna look back at some of our old and new Vitamin C products and talk about why we love them… but first, let’s talk a little about Vitamin C! Vitamin C isn’t just great for keeping colds at bay – it’s also amazing in skincare to help recover radiance in the skin. Vitamin C can help to slow down Melanin activity (which causes dark patches on the skin) and can also help speed up cell turnover – meaning that with use, dull, uneven skin will become less visible over time, leaving you with soft, glowy skin. L-ascorbic acid, which is the most pure form of Vitamin C helps prevent dilated blood vessels, reducing the inflammation, which leads to acne and rosascea. What are the different types of Vitamin C? Pure natural Vitamin C is known as ascorbic acid. It is highly unstable when mixed into a water-based formula. But when stable, is a superstar for its proven antioxidant properties that boost firmer-feeling skin. L-ascorbic acid is the best synthetic form of Vitamin C. Other synthetic forms of Vitamin C are: magnesium ascorbyl phosphate, ascorbyl palmitate, Vitamin C esters, sodium ascorbyl palmitate, and sodium ascorbyl phosphate. These are more stable forms of Vitamin C, which give good results but ascorbic acid is the best, but the least stable version. 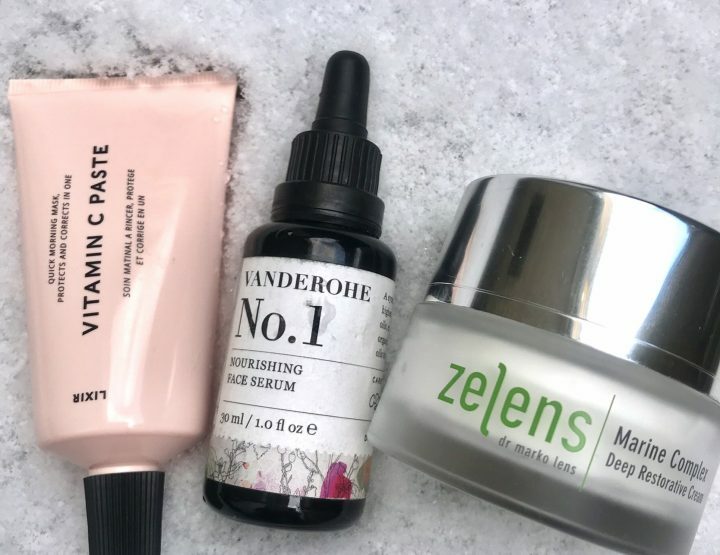 Five Easy Vitamin C Glow Savers! In these quick and easy Vitamin C products, we featured the Superfacialist Vitamin C – which is addictive – firstly because it smells of citrus fruits, so that you almost want to lick it off of your hands and secondly because it’s an oil cleanser which means that you get a sensory experience, as well as a brightening, cleanse. We also love the Lixir Skin Vitamin C Paste, which provides a quick and easy vitamin C boost. Although this is called a paste it isn’t really a paste… it’s more of a silky gel that starts of thick and then starts to emulsify into a white almost oily consistency thanks to the combination of massaging it in and body heat. 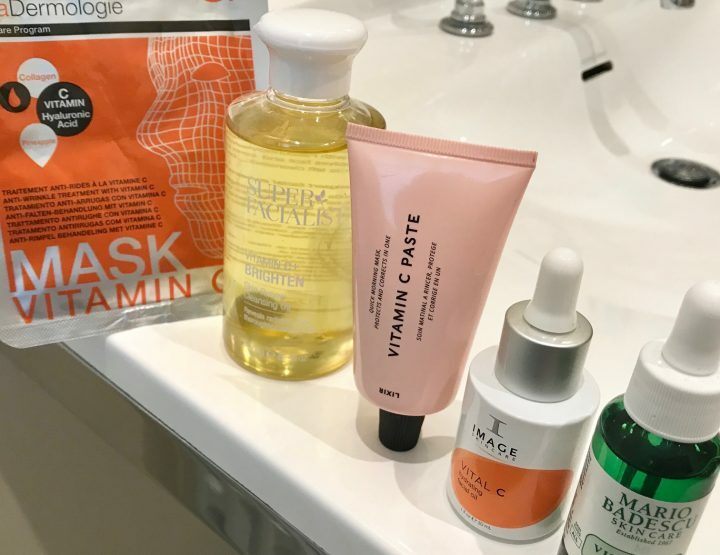 The Image Skincare Vit C Face Oil is beautifully light and easily and quickly absorbed into the skin, it doesn’t leave any intense shine just a beautiful glow and is the perfect base for your other serums or your moisturiser. It also has that lovely citrus scent to it. For a lovely night treatment, we love the Mario Badescu Vitamin C Serum. It has a very satisfying texture rather like a thin oil that’s easy to apply and leaves your skin with an instant glow. 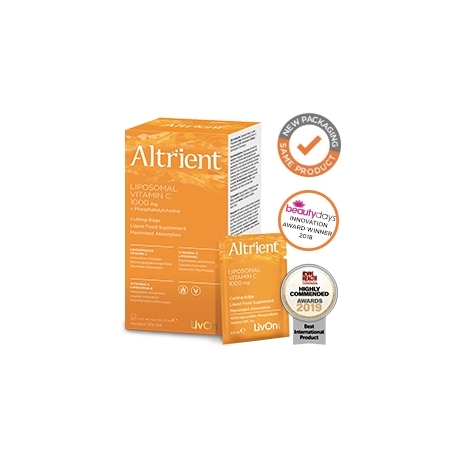 This formula is 7.5% ascorbic acid plus Sodium hyaluronate and collagen are added to provide plumping and hydration. Love a sheet mask? 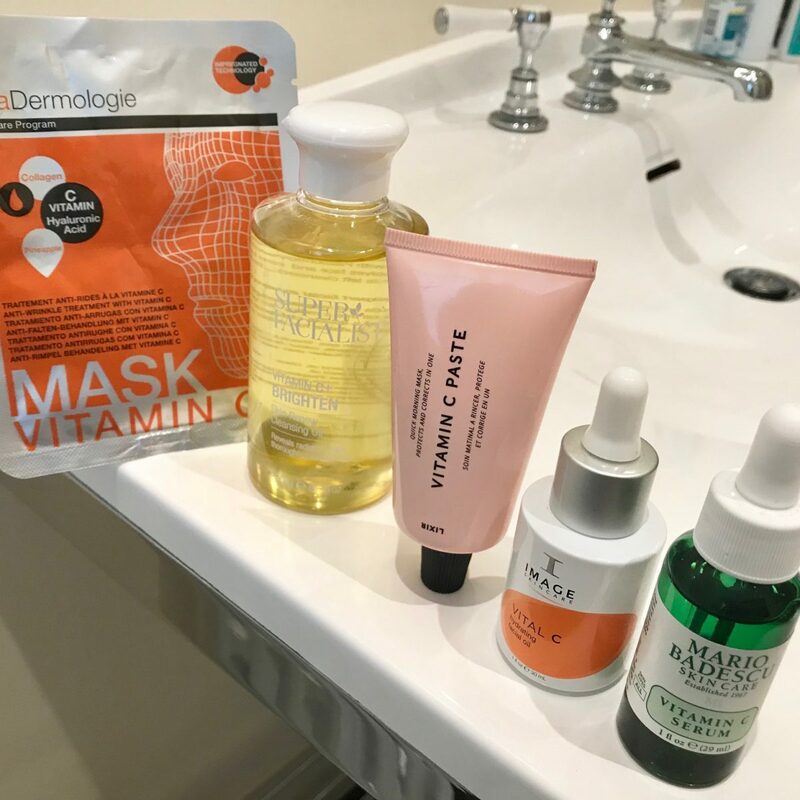 You’ll love this Vita Dermalogie Vit C Sheet Mask Perfect for when you want brighter skin fast! It’s one of my fave quick fix masks and is great when you need your skin to look brighter and more alive. 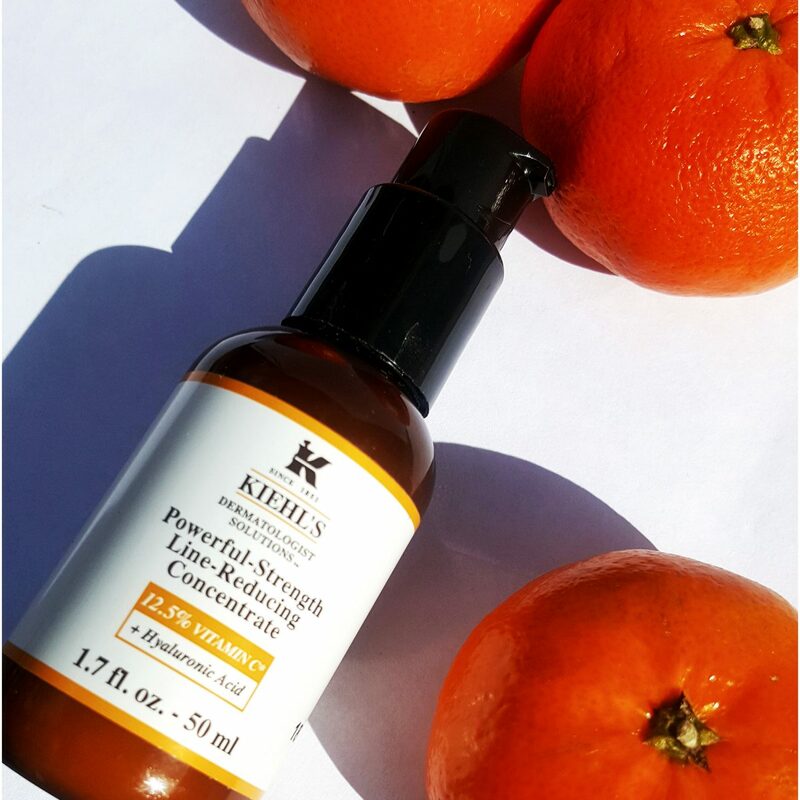 One of Jessica’s favourite Vitamin C serums from last year was the Kiehl’s Powerful Line Reducing Concentrate. I certainly feel as though my laughter lines around my eyes seem to have lessened. Skin feels plumped and smooth instantly and it remains feeling bouncy and moisturized throughout the day. The addition of Hyaluronic acid really helps to plump the skin and boost moisture. 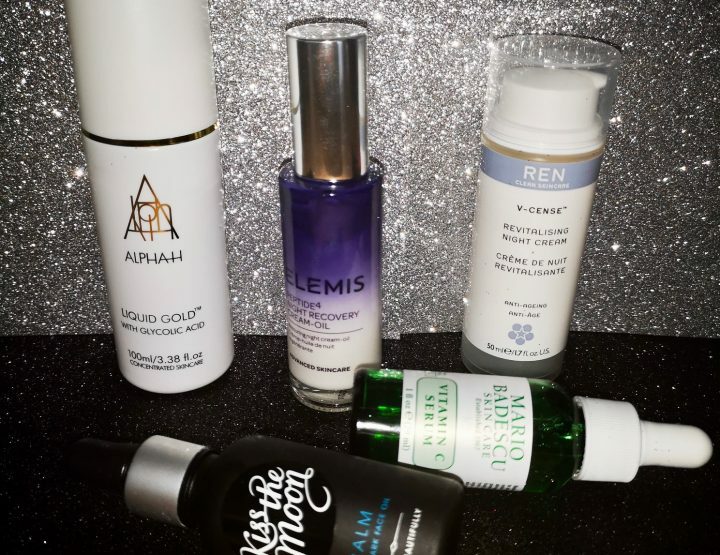 Here’s an oldie but goldie post from 2016 about Vitamin C Serums – many of which we still use today! 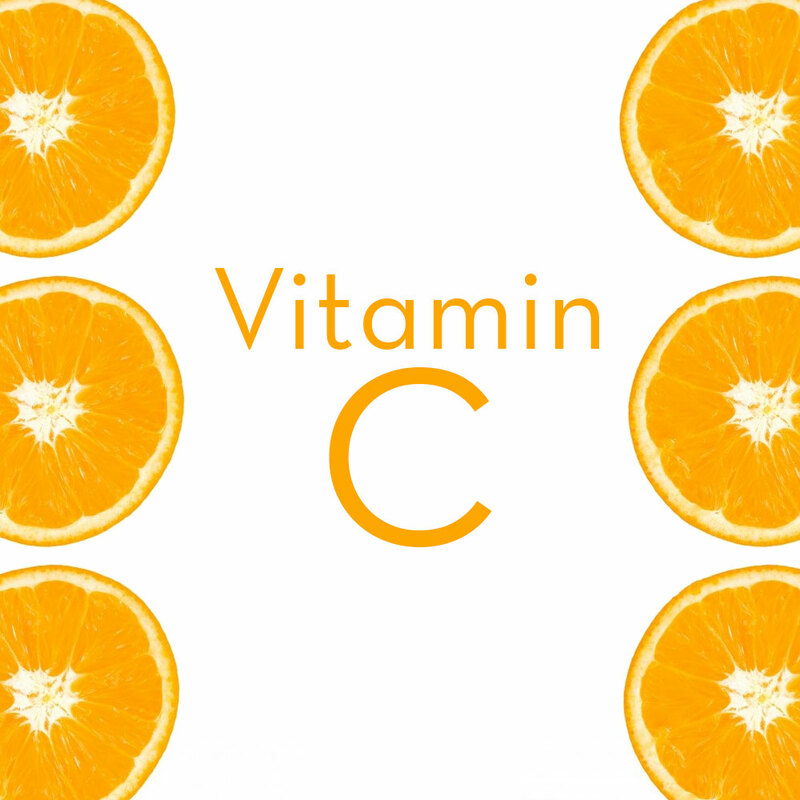 This post is also great to give you more of an overview on what Vitamin C is and how it works. The Zelens high potency vitamin c treatment drops uses a vitamin c ester at 20% which is a stable oil soluble form of vitamin c which won’t irritate the skin and leaves your skin gleaming. Zelens is one brand that has remained a firm favourite throughout the years. The Vitage Vitamin C Radiance Serum is a potent concentration of encapsulated Vitamin C and Hyaluronic Acid and has a matte finish. Love this Perricone MD Vitamin C Ester at 15% which is designed to be used at night. This Cover Fx C + Lemongrass Custom Infusion Drops is a concentrated combination of Vitamin C to help brighten dull skin and protect against free radicals plus Lemongrass to tone skin naturally. For quick fix, the REN flash rinse 1-minute facial is a quick and easy to use skin booster. Looking for a good Vitamin C Supplement? I take Liposomal Vit C because it’s considered to be a more effective delivery system. Altrient c, Dr Mercola. Why? because vitamin c is difficult for the body to absorb: liposomal vitamin c is much easier to absorb than other vitamin C supplements because the liposome will fuse with cells in the digestive system and deliver the vitamin C directly into the cells Instead of being attacked by stomach acids.